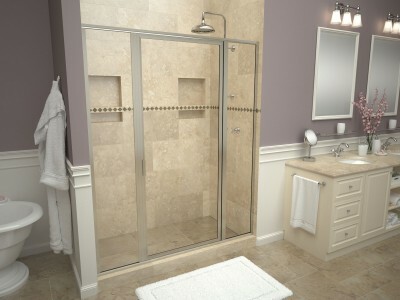 Tile Redi® is the inventor of Tile Ready® brand shower products. 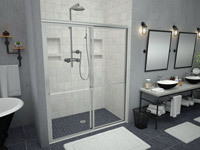 We offer the industry’s largest selection of Ready-to-Tile™ products including: one-piece shower pans in a variety of models, shower shelves, shower seats, shaving steps, and decorative shelf kits. 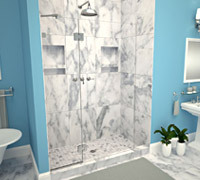 Tile Redi® is known for being innovative and for our focus on the marriage of design and function. 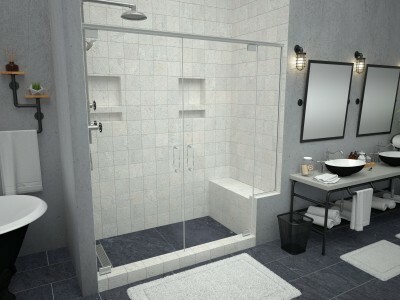 Our products enable you to have both the quality installation and designer look you want without breaking your budget. 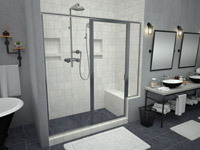 Choose a Tile Ready® product for Tile Redi® peace of mind! Redi Base® shower pans come in over 100 standard models with a variety of sizes and drain locations. 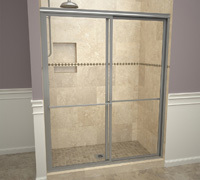 Choose from shower pans with a single curb, double curb, triple curb, barrier free, or ADA entrance. 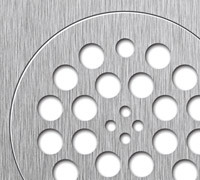 Redi Trench® shower bases are the industry's only one-piece, tileable shower pan with an integrated linear trench drain and choice of either tileable linear grate or designer linear grate tops. Choice of single curb, double curb, barrier free, or ADA entrance. 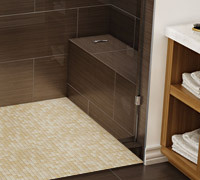 WonderFall Trench™ shower pans are a designer shower pan with a tiled slot drain and an Infinity Shower Floor™. Available with single or multi curbs in a variety of sizes. Wonder Drain® shower pans feature a square tileable drain top that makes the drain invisible; all you see is your beautiful tiled shower floor! Available with single, double, or triple curbs. 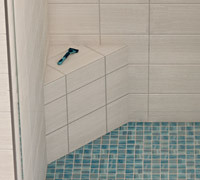 Bathtub Replacement™ shower bases are designed to fit the footprint of the bathtub you remove to replace with a shower. 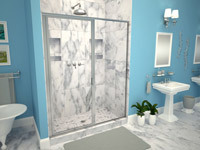 Tile Redi® has the industrys largest variety of Bathtub Replacement™ shower bases to meet your needs! 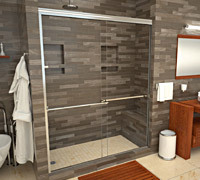 Redi Free® Barrier Free shower pans, including ADA shower pan models, are available in each of the product lines to provide a walk in or roll-in entrance for your preferred shower design. 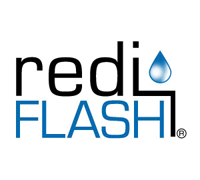 Redi Neo® shower pans with the industry's largest variety of neo angle styles including Redi Trench®, WonderFall Trench™, Wonder Drain® and Redi Base® models. Base'N Bench® Shower Kits take the hassle out of measuring and designing a shower with a built-in seat. 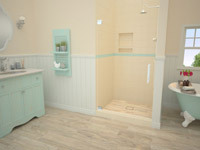 The shower bench and shower pan are sized to work together, and you can create your shower design from an offering of our most popular shower pan models. 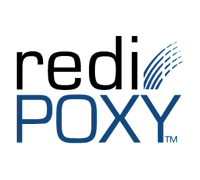 Redi Your Way® custom shower bases in any size and drain location for all Tile Ready® brand shower pans are available for projects with an order of more than 20 pans. 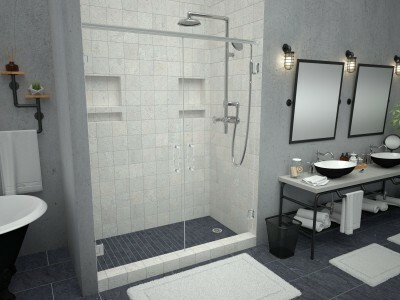 At Tile Redi® the shower pan is just the start of a great shower design. In addition to our gold-standard shower pans, we offer the same quality features in our Ready-to-Tile™ shower shelves, seats, and shaving steps: all are one-piece, easy-to-install, and leak proof! 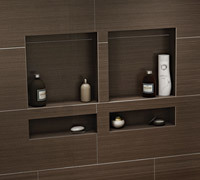 Redi Niche® recessed shelves give streamlined, clutter-free shower walls with no leaks. 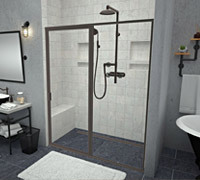 With over 30 models to choose from, you will find models to fit the space needs of your bathroom renovations or designs! Redi Bench® shower seats offer a safe and beautiful place to sit in the shower and there is a model designed to fit virtually every shower pan we manufacture. Redi Ledge® shaving steps offer a practical and attractive way for your guests to shave their legs easily and safely in the shower. Two distinct models will appeal to your specific design preference. 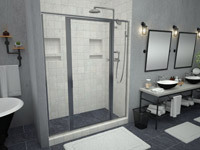 The Tile Ready® brand products that are used by professional builders in 5 star hotels, casino hotels, high-end condos and single family residences – both new construction and renovations – are the same quality products we sell to small contractors and do-it-yourselfers. What more could you ask for? !